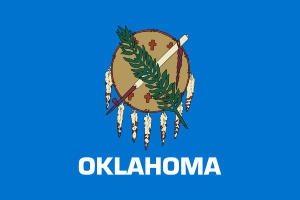 Oklahoma was home to more than 2,000 paralegals in 2011, according to the Bureau of Labor Statistics with the largest concentration in urban areas. A paralegal is a professional with substantive knowledge of legal procedure and skill who is not a licensed attorney and does not claim to be one. A paralegal, or legal assistant, cannot claim attorney’s fees, offer legal advice, or represent a client in the court of law. They do interpret and draw up legal documents, interview witnesses, talk to clients, and basically everything else a lawyer does outside the aforementioned taboos. Some attorneys are even stepping out of the courtroom battle zone to become paralegals. As no authority is placed over the profession, there are no specified requirements for working as a paralegal, though the state may not recognize a paralegal as such before certain guidelines are filled; this is in an effort to promote formal education and a good base of skill or knowledge in the field. Anyone can work as a paralegal however, the opportunity simply needs to be presented, but it takes more than a job title to be respected as one. Becoming a paralegal can be as basic as hands-on training as you go, but it’s not preferable. More and more employers are seeking a solid foundation of schooling and experience before a job is awarded. To facilitate this and promote the importance of education in the legal field, the OBA -or Oklahoma Bar Association– posted their position on minimum standards for Paralegals/Legal Assistants in 2000 and ask others adhere to them for the sake of professionalism. Requirements concerning institutes of learning vary state to state; in Oklahoma ABA approval of a school or program is not necessary but accreditation of the school is a must. The difference sounds small but is rather particular: an accredited school is one that has met or exceeded certain stringent requirements regarding how it is run and the quality of the education it offers in an overall, general sense. Accreditation is granted by a private, regional or national authority such as the Department of Education. An ABA approved school is one that has impressed the very selective American Bar Association in the field of legal studies such as Paralegal Technology, or Criminal Law and is more course-specific. East Central University in Ada is a 4-year public school that provides the applicant with a Bachelor of Science (BS) degree in Legal Studies. It takes roughly 3.5 years to complete the program and internship is required. The undergraduate degree minors in legal studies and the major is ABA approved. Rose State College in Midwest City is a public 2-year school providing an AAS in the Business Division of a Legal Assistant program. At least 3 semesters are required for graduation and internships are mandatory. University of Oklahoma Law Center located in Norman is a 4-year public school that offers a post-secondary certificate where internships are elective. The course itself lasts about 2 years and is comprised of Saturday classes so work or studies may continue uninterrupted. University of Tulsa in Tulsa is a 4 year school that has a Certificate in Paralegal Studies and a Legal Nurse Consultant Program. This is a continuing education program that requires previous degrees.